devitalizart » Archive » Non ho capito proprio bene bene tutto, fatto sta che se la mia macchina non si fa passa’ ‘sta fase emo finisce male. 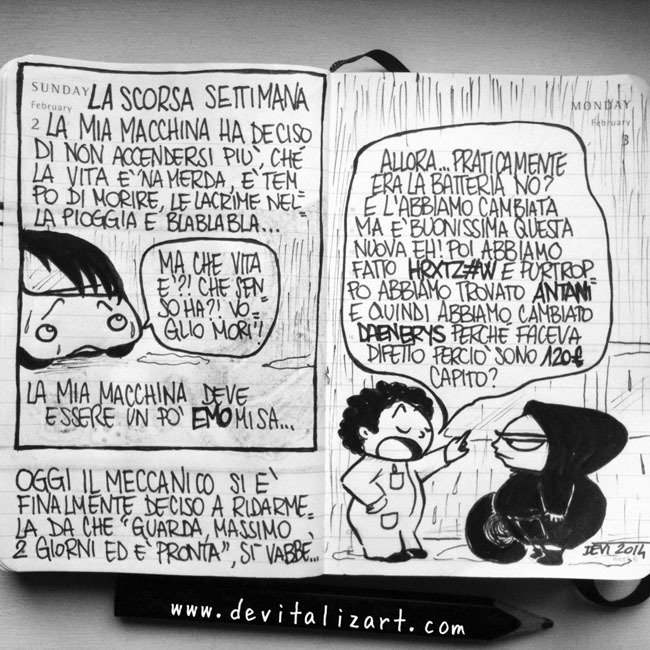 This entry was posted on lunedì, febbraio 3rd, 2014 at 13:44 and is filed under comics. You can follow any responses to this entry through the RSS 2.0 feed. You can leave a response, or trackback from your own site.